Wyniki z hemisferycznego analizatora energii EA15 z detektorem channeltron PREVAC. a) high counts and good energy resolution at low pass energy using PREVAC's non-monochromated source (RS40B1). 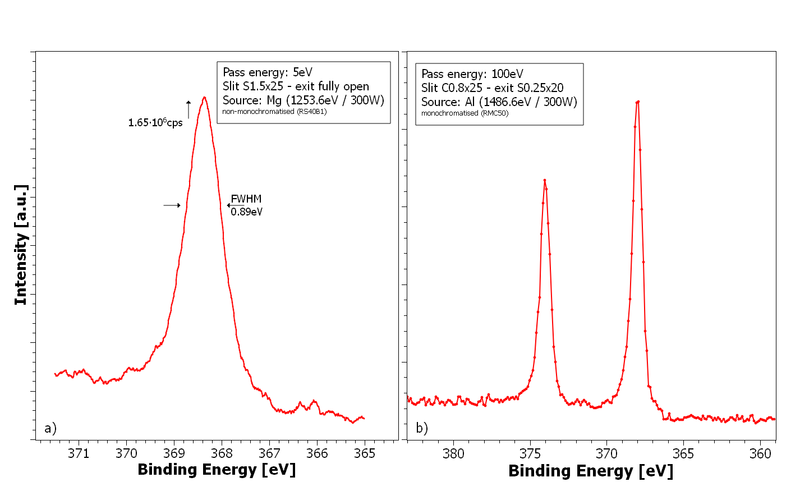 b) data acquired with PREVAC's X-ray monochromator (RMC50) and high pass energy.